The three enemies of Zhong Shao Xi’s bring Han Rong to become a member of their group and make Zhong Shao Xi and her group get into trouble for copying their report. It’s their final go at making Zhong Shao Xi’s time at university a difficult one—a final attempt that ends in failure. 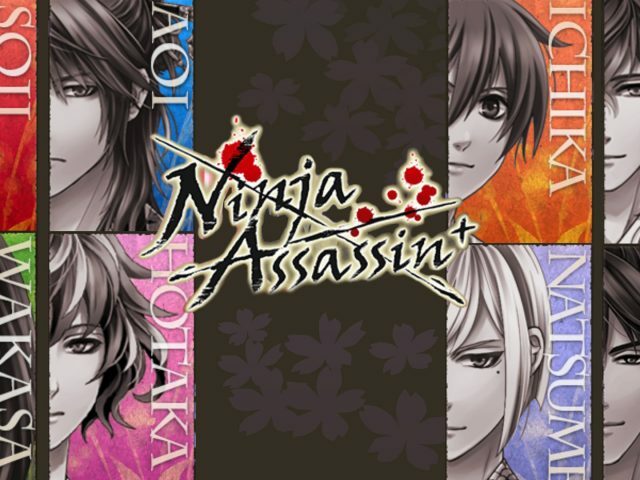 On presentation day, Zhong Shao Xi and her group find Han Rong suddenly switching from being a member of their group to a member of the group with the three enemies of Zhong Shao Xi’s. The three girls explain to the teacher with a made-up issue in Zhong Shao Xi’s group of Han Rong having been bullied into doing all the work whilst in her previous group. They took Han Rong in because they couldn’t tolerate this behaviour they feel is beneath what’s expected of university students. Han Rong makes the presentation for her new group with the report done by Zhong Shao Xi and her group. Presentation time for Zhong Shao Xi and her group has them presenting the same report. 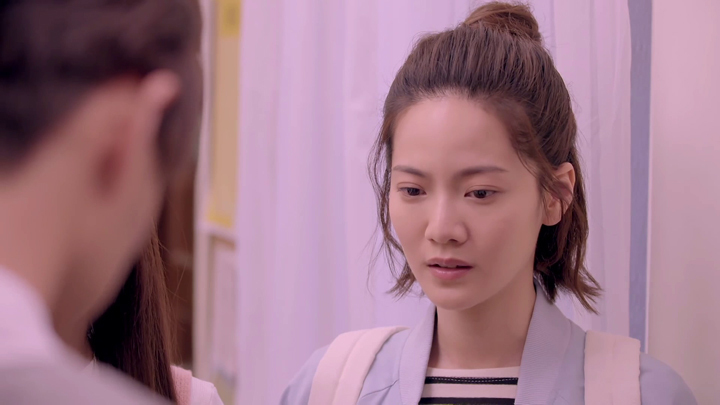 When the teacher ask Zhong Shao Xi why their report is the same as the report the three girls’ group presented, Zhong Shao Xi only tells the truth to the teacher. The report is one that the three of them—An Xiao Qiao, Jin Yu Bin and herself—plus Hang Rong worked on. Han Rong stole the report they all worked on and passed it off as the report that her new group with the three girls say they did. 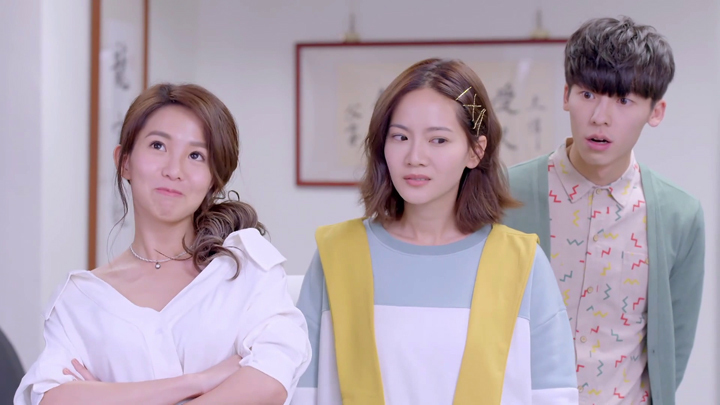 The three girls show no concern towards Zhong Shao Xi’s accusation of them having stolen their report when they feel Zhong Shao Xi and her group isn’t able to prove their report isn’t a copy of their report. They say the information in their report can be found anywhere on the Internet. However, An Xiao Qiao says they’re wrong to think this. She has evidence that proves their report was stolen by the three girls. 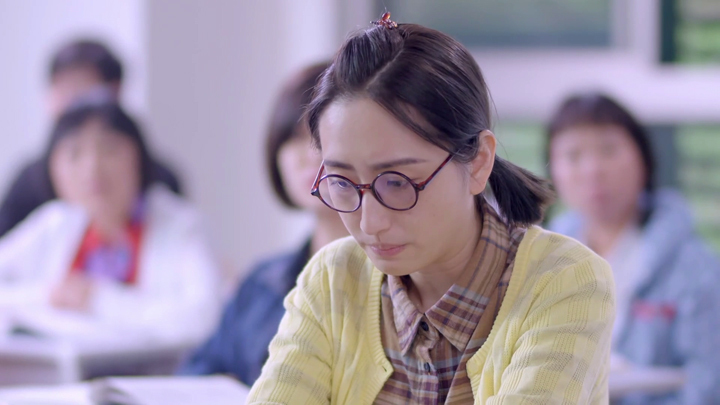 In a meeting where the teacher, the chancellor and An Xiao Qiao’s mum (who is an honorary member of the board) is present, An Qiao Xiao says the information in their report is from her mum’s company. 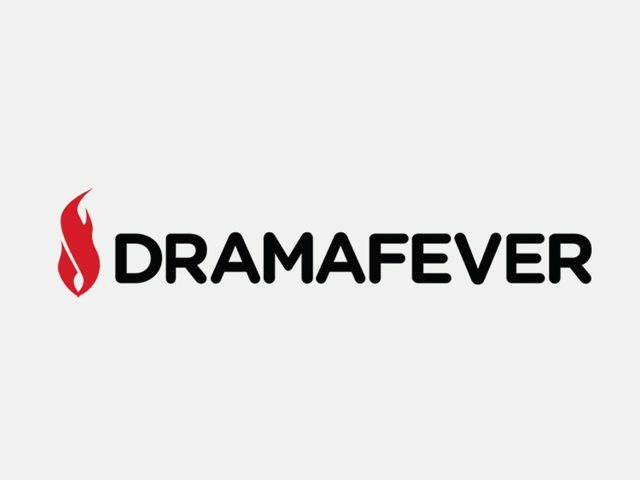 An Xiao Qiao’s mum confirms it when An Qiao Xiao reminded her mum of how she had asked her for some information from the company to use for their group report. 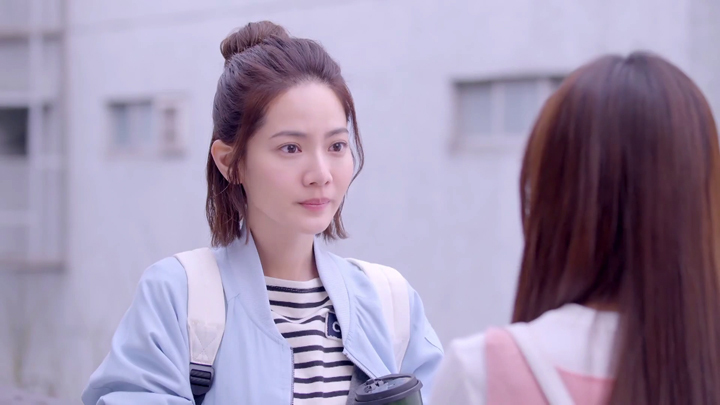 An Xiao Qiao’s mum goes along with An Xiao Qiao’s game of making the three girls believe they will be facing criminal charges for theft of confidential company information. In the end, the three girls just face disciplinary action from the school. With support and encouragement from Zhong Shao Xi, Han Rong reveals the truth about the three girls having forced her to do what she did. Following this event, the three girls find pictures of their previous hooligan appearances that they wanted hidden, but it gets spread on the Internet and it becomes a topic of gossip around the campus. The one behind the spreading of their unflattering past image on the Internet has nothing to do with Zhong Shao Xi. 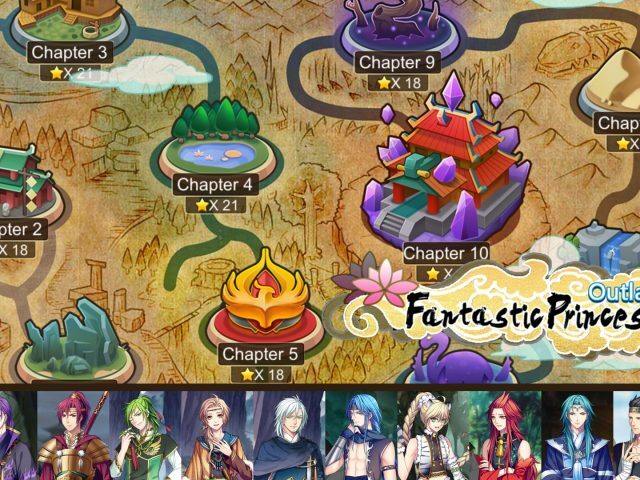 The person responsible points to Yan Li Zheng. However, the three girls believe it’s Zhong Shao Xi’s doing and they call it even with Zhong Shao Xi after this. Yan Li Zheng gets the opportunity to think about his feelings for Zhong Shao Xi when he comes across the recording Zhong Shao Xi made in the doll she won at the trip they had made to the night markets before the university entrance exams. Hearing the recording of Zhong Shao Xi saying she likes him a lot, it has a strong effect on Yan Li Zheng. He listens to it many times. Yan Li Zheng looks to be more aware of his feelings for Zhong Shao Xi. However, he seems to need a lot more to get him to take action and expressing it. 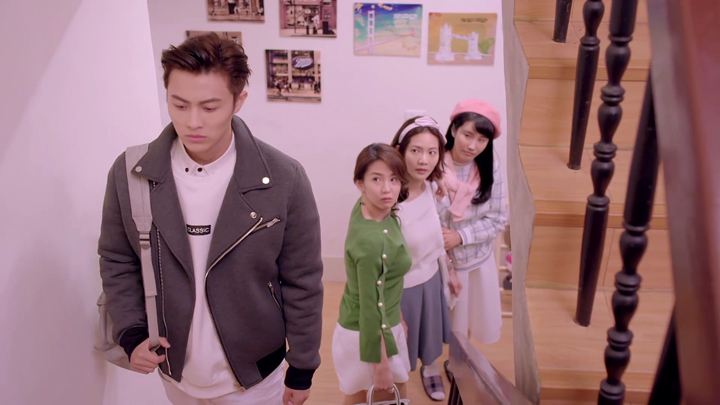 When Zhong Shao Xi comes down the stairs with An Xiao Qiao and Li Ru Ping, dressed up and told she was meeting a guy An Xiao Qiao will be introducing to her, Yan Li Zheng doesn’t show much concern. He tells Zhong Shao Xi to have fun and says he’ll be heading to his room. We see the lack of concern Yan Li Zheng has about Zhong Shao Xi going out on this blind date to be Yan Li Zheng not seeing it as a blind date. 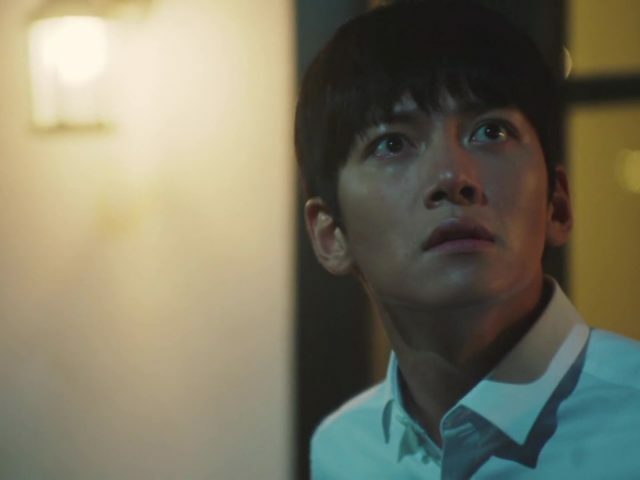 He also doesn’t see anything will happen when Wang Jin Li tries to get Yan Li Zheng to see he’s too lax about this meeting Zhong Shao Xi has with An Xiao Qiao’s friend. 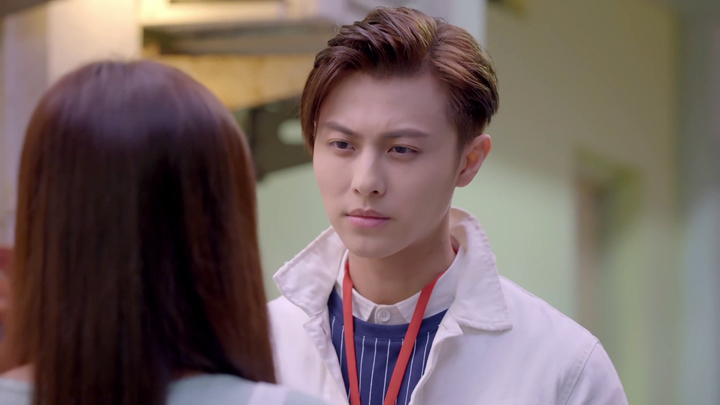 Yan Li Zheng reminds Wang Jin Li he had been the one to tell him to not hold Zhong Shao Xi back from getting to know other guys and to not prevent her from dating. Wang Jin Li says he only meant for him to not prevent Zhong Shao Xi and him from dating. Other guys are excluded from what he said. 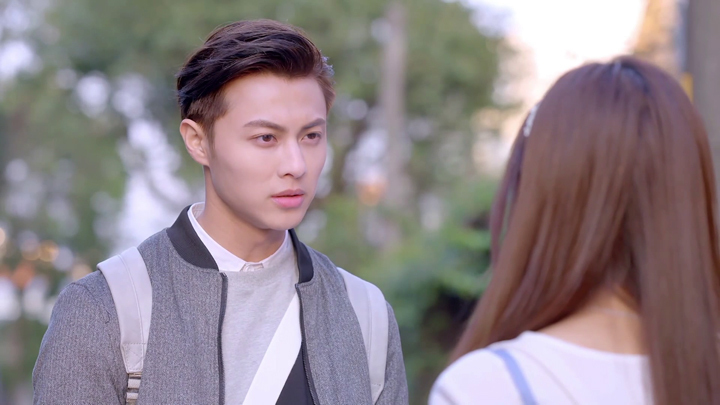 Wang Jin Li goes to make Yan Li Zheng see that a date leads to an undesirable outcome. What comes after being unconscious, Wang Jin Li says, is sleeping together. Yan Li Zheng thinks that can’t happen when Zhong Shao Xi doesn’t drink with people she doesn’t know. Wang Jin Li gives another scenario that doesn’t involve drinking, but all the same leads to sleeping together. And Wang Jin Li says sleeping together comes after kissing. 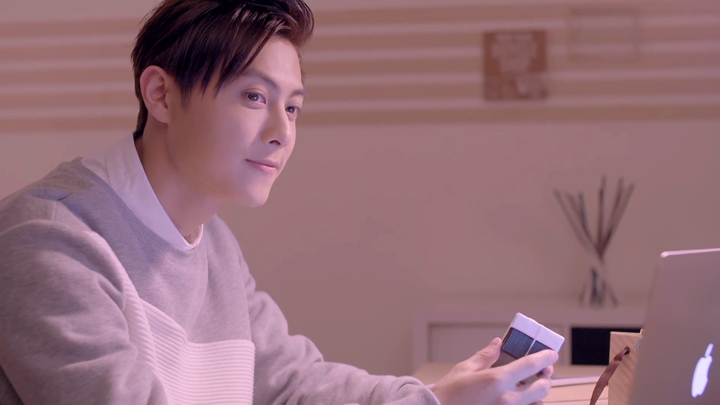 Yan Li Zheng ends up going along with Wang Jin Li to spy on the date Zhong Shao Xi has with An Xiao Qiao’s friend, Teddy (Huang Hong Xuan), after that. 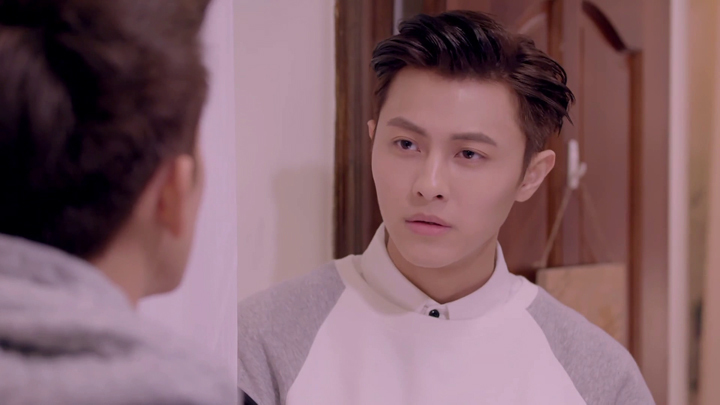 Wang Jin Li notices a similarity in the appearance between Teddy and Yan Li Zheng. 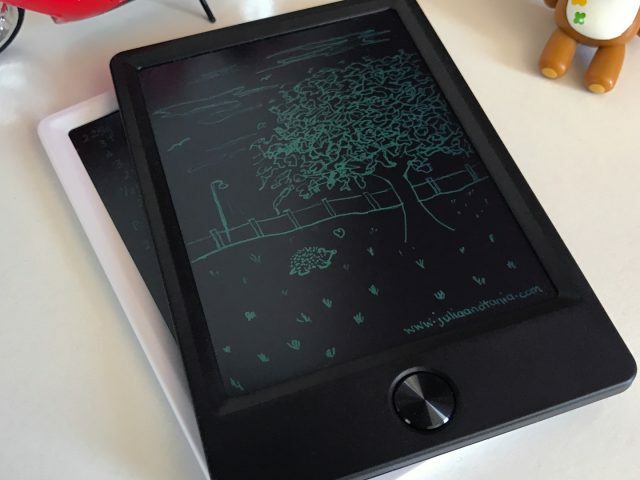 He urges Yan Li Zheng to take a look to see it for himself. Yan Li Zheng seems to agree. Finding Zhong Shao Xi smiling and talking well with Teddy who has a similar appearance to his, he leaves the place. 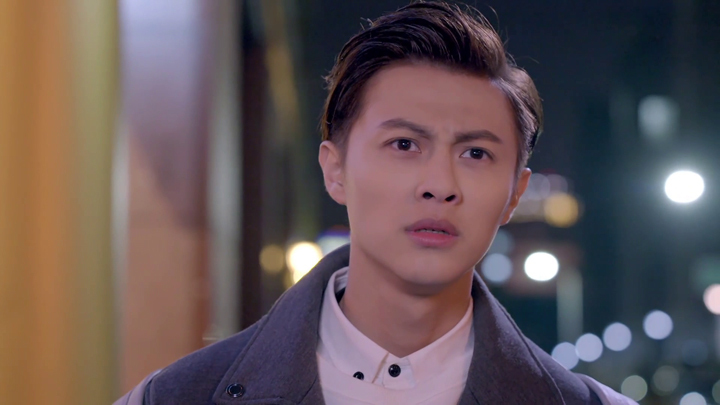 Yan Li Zheng heads to a pitching venue where he releases his frustrations. Recalling Zhong Shao Xi smiling and talking well with Teddy, Yan Li Zheng pitches a ball to a target of nine squares that record a speed of 114. Recalling moments in high school where Zhong Shao Xi was hurt by the things related to him directly and indirectly, his pitches hit the targets and they increase in speed with each recollection. 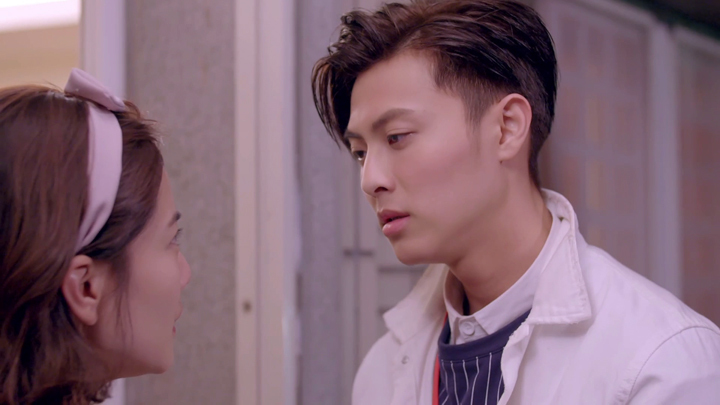 Yan Li Zheng doesn’t pitch the ball when he recalls the moment Zhong Shao Xi asked if he wanted to be with her. He drops the ball and frantically makes his way back to where Zhong Shao Xi was having dinner with Teddy. Yan Li Zheng fails to take action, though. 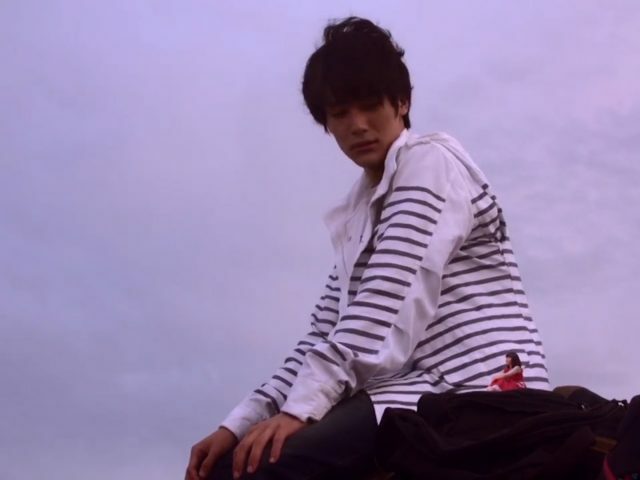 Yan Li Zheng watches on from across the road from a scene where Teddy heads home in a taxi by himself while Zhong Shao Xi is taken away by Wang Jin Li. During this time after Zhong Shao Xi’s date with Teddy, Wang Jin Li confesses his like to her after revealing to her he knows exactly who she likes because he’s the online female gamer friend she spoke to during when she wanted to know what she should do with her one-sided like. Wang Jin Li doesn’t request an answer from Zhong Shao Xi then and there. 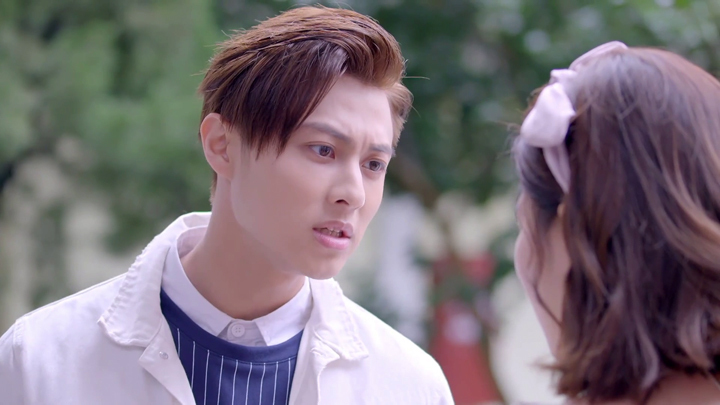 Instead, he asks Zhong Shao Xi to give some thought on whether he can be that guy to make her forget Yan Li Zheng. Zhong Shao Xi helps Bai Bai get closer to Yan Li Zheng after she thinks Yan Li Zheng likes Bai Bai. This misunderstanding begins with a necklace Zhong Shao Xi sees and likes at a stall on the way to class. It’s too expensive for Zhong Shao Xi so she doesn’t buy it. 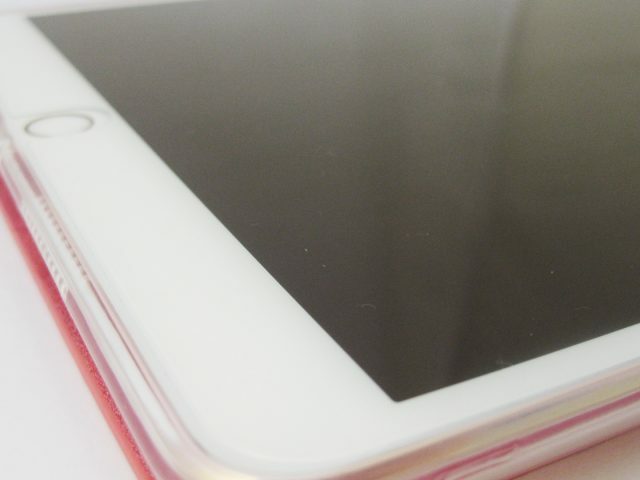 However, Yan Li Zheng buys it. 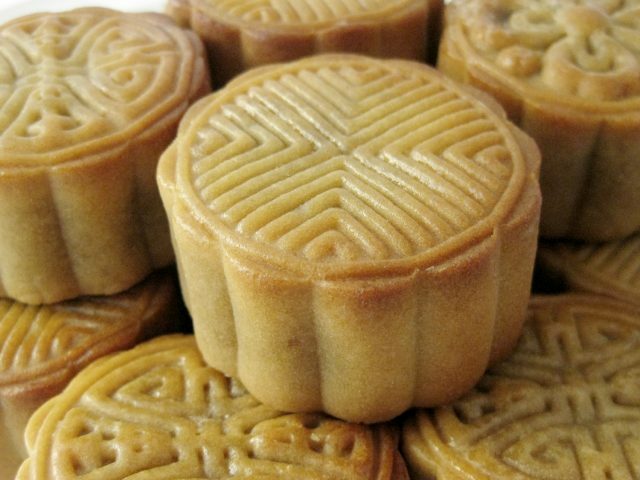 This brings Zhong Shao Xi to persuading Yan Li Zheng from buying it for her. 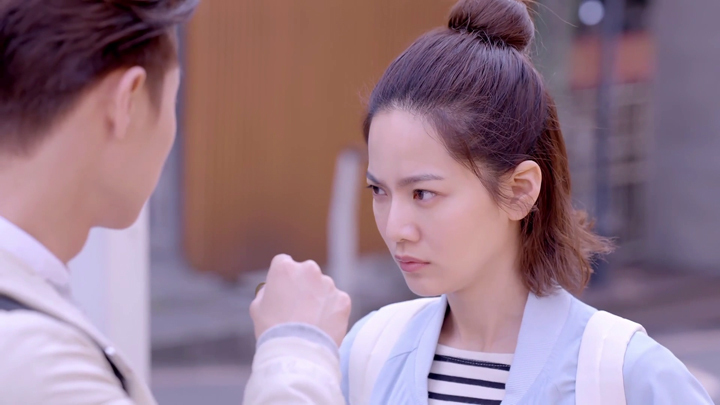 Yan Li Zheng wanting to throw Zhong Shao Xi off track, he says to Zhong Shao Xi she’s misinterpreted him buying the necklace as buying it for her. This leads Zhong Shao Xi to thinking Bai Bai’s the one the necklace is for when, in a coincidental encounter around campus, Bai Bai says to Zhong Shao Xi Yan Li Zheng had given her a birthday present. When Bai Bai goes to get the gift out from her bag to let Zhong Shao Xi see what Yan Li Zheng had given her, Zhong Shao Xi says to Bai Bai she knows what gift she received from Yan Li Zheng. She helped Yan Li Zheng pick it out, Zhong Shao Xi says to Bai Bai. 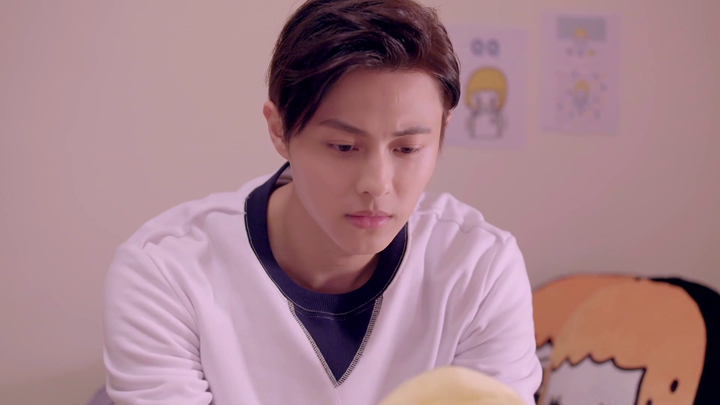 Zhong Shao Xi not wishing to see Yan Li Zheng’s birthday gift brings on the misunderstanding that Zhong Shao Xi has of Bai Bai being the person Yan Li Zheng likes. Yan Li Zheng hadn’t given the necklace that Zhong Shao Xi thinks he gave to Bai Bai. She received the keychain that came free with buying the necklace. 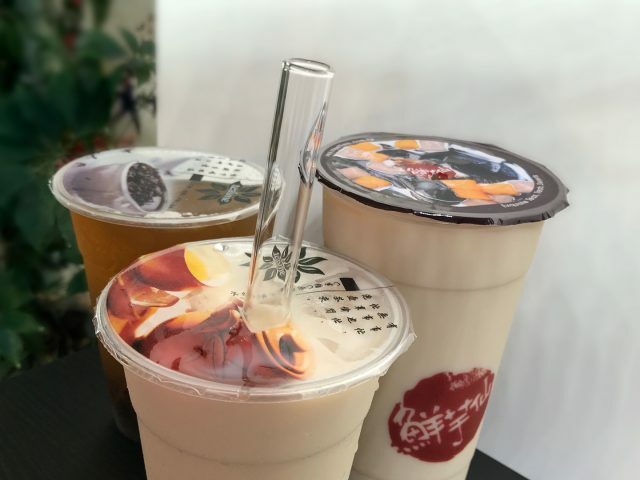 It’s a gift which seems to have just been conveniently on hand that Yan Li Zheng could give as a birthday gift for Bai Bai and not something Yan Li Zheng especially prepared. The next time Zhong Shao Xi comes knocking at Yan Li Zheng’s door, he’s taken off guard by Bai Bai being there also. Yan Li Zheng removed his pleased expression for what he found to be Zhong Shao Xi’s visit he found as perfect timing because he was thinking about giving the jewellery box with the necklace he said wasn’t for her. He gets it out of sight as he sees it’s Bai Bai who’s visiting. Zhong Shao Xi is only accompanying her. He’s handed a return gift from Bai Bai for gift the one he gave for her birthday. He receives earphones. Bai Bai explains it’s Zhong Shao Xi who helped her pick it out. It’s what she’d give if she were to give a gift to him. Zhong Shao Xi leaves the two to chat some more by themselves. 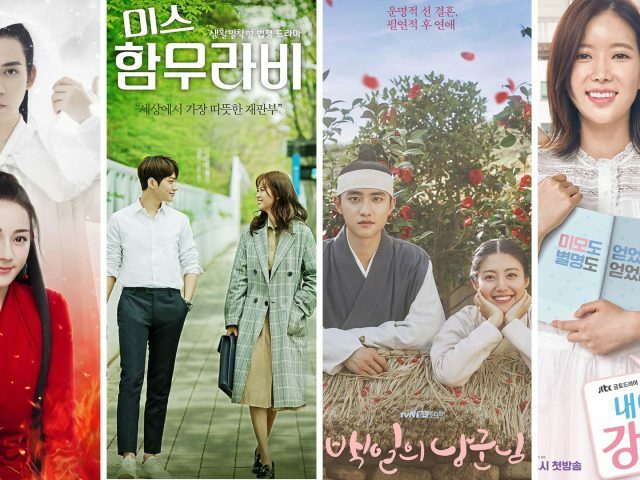 On a New Students Camp trip that the gang goes to, Zhong Shao Xi stirs Yan Li Zheng into interrogating her on the things going on between her and Wang Jin Li after she faults him for failing to be a best friend because he didn’t let her know about him liking Bai Bai. Yan Li Zheng doesn’t like Bai Bai and these words from Zhong Shao Xi brings him to point a finger back at Zhong Shao Xi for being a bad best friend. 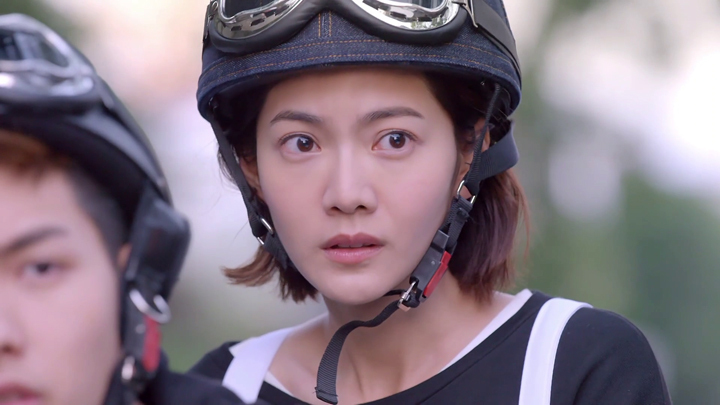 Zhong Shao Xi admits Wang Jin Li had confessed to her. 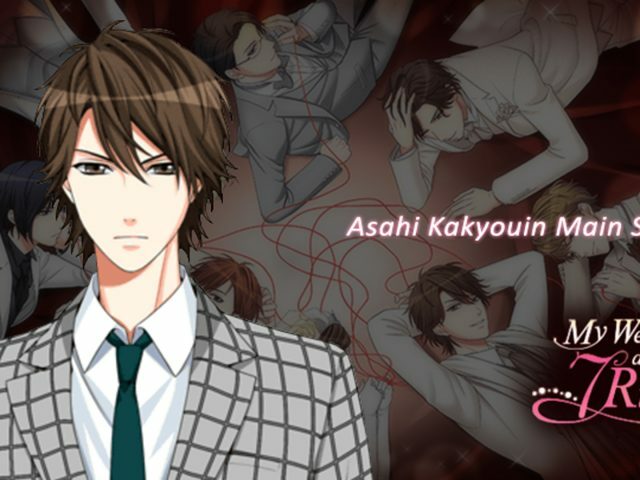 However, Wang Jin Li’s confession isn’t something she had control over. Yan Li Zheng takes these words she says about having no control over Wang Jin Li’s actions to come at her with questioning her thoughts on Wang Jin Li. He seems to reveal his own unsure thoughts towards Wang Jin Li possibly being more suited for Zhong Shao Xi. Yan Li Zheng’s need for answers brings Zhong Shao Xi to turn the questioning back onto himself. It has him answer it with difficulty and provide a disappointing answer Zhong Shao Xi has heard before. 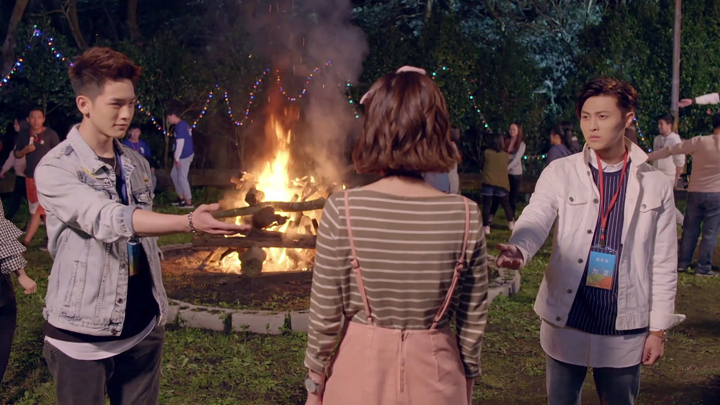 The main event of the camp trip, a dance, has Wang Jin Li waiting to ask Zhong Shao Xi for her answer to the confession he made. For Yan Li Zheng, the dance is an opportunity for him to express anything he has been wanting to say to Zhong Shao Xi. For Bai Bai, the dance is where she wants to confess to Yan Li Zheng. Bai Bai doesn’t get the opportunity to confess to Yan Li Zheng at the dance when Yan Li Zheng makes a beeline to Zhong Shao Xi. So does Wang Jin Li. Both Wang Jin Li and Yan Li Zheng doesn’t get accepted as Zhong Shao Xi doesn’t choose to dance with either guys when she escapes to Jin Yu Bin. Zhong Shao Xi later comes upon a scene of Bai Bai and Yan Li Zheng hugging—a hug which Bai Bai purposely goes to do for Zhong Shao Xi to see after she spots her spying from behind a structure. 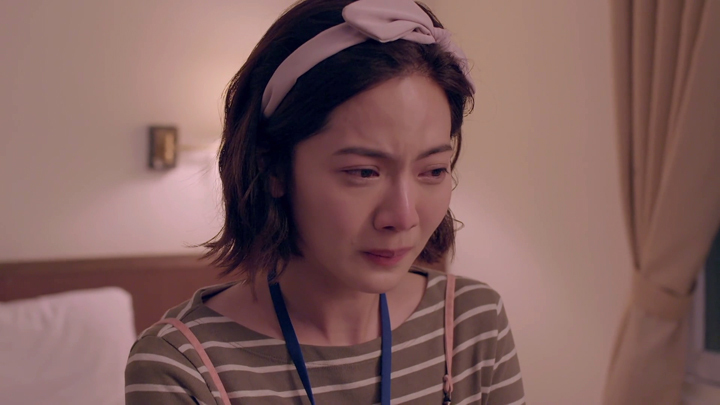 Zhong Shao Xi’s misunderstanding of Yan Li Zheng being interested in Bai Bai continues on when she leaves the scene in tears before Yan Li Zheng shows his complete disinterest in Bai Bai. He removes Bai Bai from him. He answers the question Bai Bai asked him during the hug. Bai Bai had asked Yan Li Zheng if he had the same feelings towards her as she had towards him. Yan Li Zheng’s answer was negative. He has never liked her. 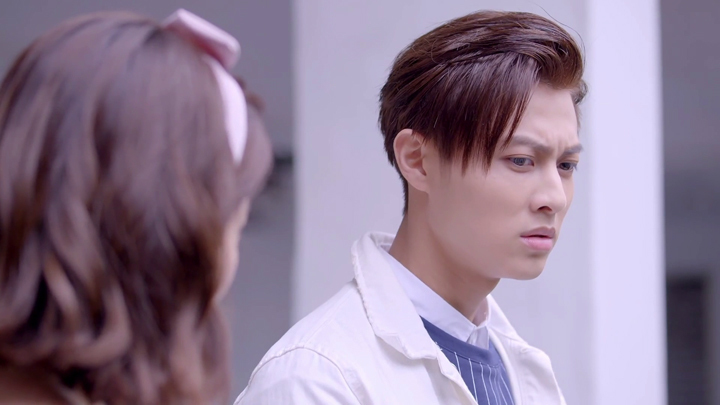 Zhong Shao Xi not seeing or hearing Yan Li Zheng rejecting Bai Bai, it allows Bai Bai to execute another trick that brings Zhong Shao Xi to believe the show of feelings that Yan Li Zheng expresses to her may actually have been for Bai Bai. 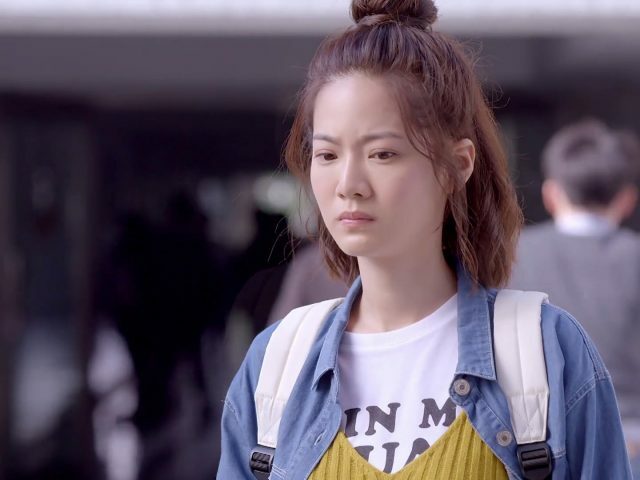 Yan Li Zheng becomes drunk after one of Wang Jin Li’s friends tries to loosen Zhong Shao Xi up for Wang Jin Li with a large drink with alcohol added, but Yan Li Zheng takes the drink for her. Yan Li Zheng being unwell and in a hazy state from the drink, he says “I like you” and kisses Zhong Shao Xi—the person who looks after him whilst he’s unwell. When Yan Li Zheng wakes up some time later, though, the person Yan Li Zheng finds in the room is Bai Bai. 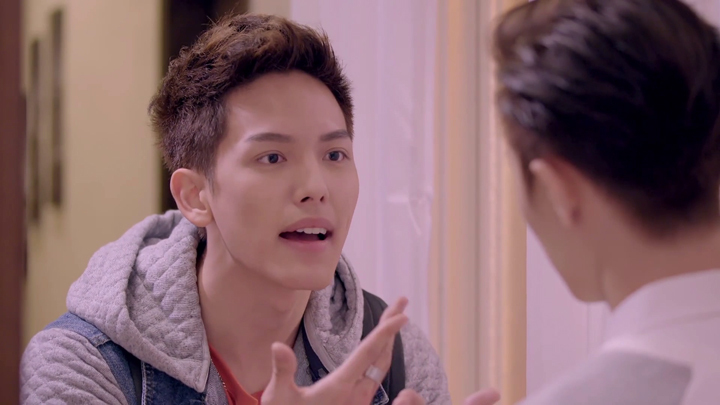 Bai Bai tells Yan Li Zheng she had been the one to have brought him to this room he was currently resting in. She then makes herself appear to have been the one Yan Li Zheng confessed to and kissed when she asks him if he really felt the way he had expressed. 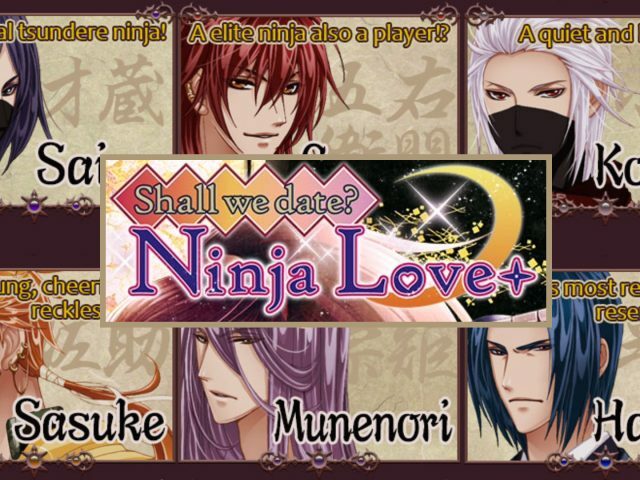 The question has Yan Li Zheng pulling Bai Bai towards him and heading in to kiss. This private moment between Yan Li Zheng and Bai Bai is another heartbreaking moment that Zhong Shao Xi sees and misunderstands. 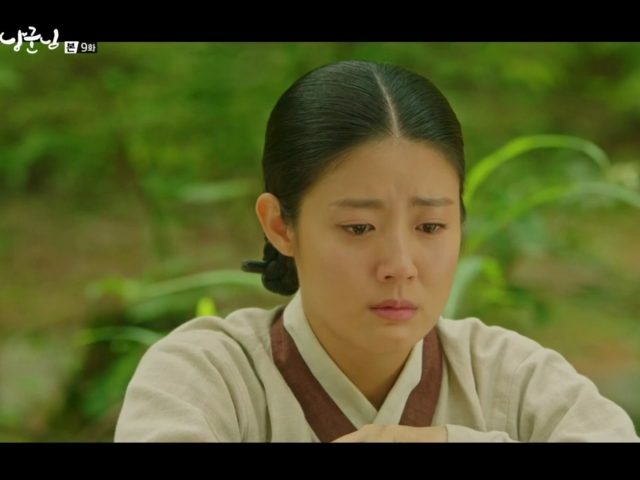 She leaves before seeing Yan Li Zheng stopping and never making contact with Bai Bai. 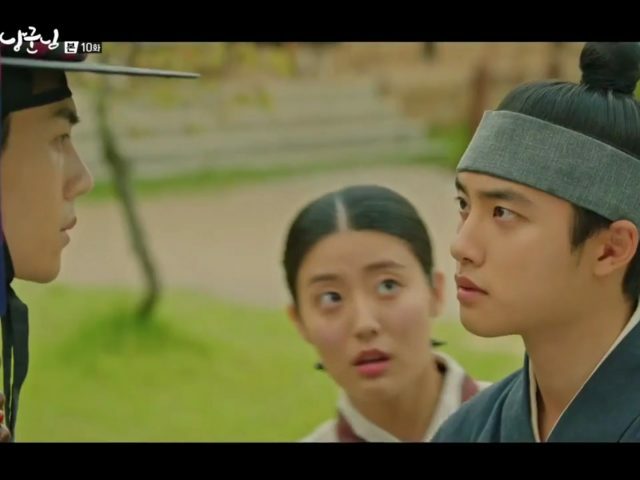 After the camp trip, on the way to Yan Li Zheng’s place to find an earring Bai Bai says she lost during when they were working on their class report, Bai Bai expresses to Yan Li Zheng she doesn’t want to give up even though he did reject her. 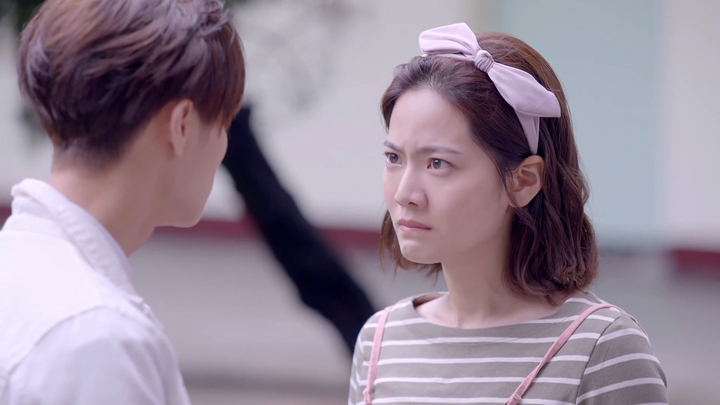 The response Yan Li Zheng gives to Bai Bai confuses her. He says his answer still hasn’t changed and Bai Bai finds it not matching with his actions yesterday. Since you don’t like me, why did you scheme to have me by your side, give me a gift and make me misunderstand? I get it now. You just need someone to make her jealous. For the third time, Bai Bai finds Zhong Shao Xi watching. She steps towards Yan Li Zheng and kisses him on the cheek. So, finally Yan Li Zheng comes out with his true feelings, but Bai Bai is in the way. She’s supposed to be a character we should hate since she’s there to make it difficult for Yan Li Zheng and Zhong Shao Xi to be together, but we like that she’s getting in the way because if she wasn’t there to get in the way, who knows how long it’ll take Yan Li Zheng to break out of his ‘You are my friend’ answer when he’s asked to answer who Zhong Shao Xi is to him. At this point in the drama, we wondered what it was that was making Yan Li Zheng struggle to come out and say he likes Zhong Shao Xi. He hinted it might be that he thinks he’s not suitable for Zhong Shao Xi. This came through during the time when both he and Zhong Shao Xi were arguing about each being not like a best friend and he asked Zhong Shao Xi if she felt Wang Jin Li was more suitable for her. We didn’t know why Yan Li Zheng was thinking he wasn’t suitable for Zhong Shao Xi when he treats Zhong Shao Xi well. She likes him and he likes her too. Suitable.